Is UK Credit Card Debt Spiralling Out of Control? The Financial Conduct Authority (FCA) recently proposed new guidelines to assist UK customers facing persistent credit card debt problems. According to the MS 14/6 credit card market study, the UK has some 30 million + credit card holders. The findings of that study indicate that some 650,000 credit card holders are in persistent debt. That indicates they are plagued by 3 years’ worth of ongoing debt. Additionally, some 750,000 credit card holders only make the minimum credit card repayments. To alleviate these concerns, the FCA published a consultation paper in April 2017, the purpose of which is to assist customers with persistent debt. The FCA proposed guidelines for banks, financial institutions, and credit card companies to utilize their resources to identify these individuals and help, wherever needed. More recently, the FCA findings indicate that there are some 3.3 million Britons in persistent debt. The strict definition of this phenomenon is customers who have paid more in charges and interest-related payments than they have on the principal amount of the debt. The timeframe under consideration is 18 months. According to the CEO of the Financial Conduct Authority (FCA), Andrew Bailey: ‘… A significant minority of customers experience real difficulties.… We expect our proposals to reduce the number of customers in problem credit card debt.’ The numbers state that for every £1 that is repaid, the average cost is £2.50. This gives rise to the problem of persistent debt. The FCA is seeking to take concrete steps to intervene when customers find themselves in this unfavourable situation. Part of the FCAs recommendations include the proposal that banks and credit card companies write off or reduce interest-related charges on outstanding credit card debt. The typical reaction in these types of situations is the cancellation or suspension of the clients’ credit card account until payments can be made. The FCA estimates that within 13 years, customers will accrue savings in the region of £3 billion – £13 billion. This will greatly assist in reducing the overall level of persistent debt, by generating savings in the range of £310 million – £1.3 billion per annum. FCA intervention is also geared towards financial institutions monitoring repayment records to indicate whether there are any burgeoning financial difficulties. The issue of credit limit increases will also take centre stage, as customers are likely to find that have greater flexibility in this regard. By having the option of declining credit limit increases, customers can manage their overall debt burden more effectively. This will make it easier to save money for big ticket items like down payments on a property, automobile or other important purchases. Why Is the Problem so Profound in the UK? In February 2017, the pace of credit card debt grew rapidly. Low interest rates have spurred a rush for credit facilities in the country. In February 2017, the Bank of England reported that credit card and personal loan borrowing increased by £1.4 billion. The 6-month average figure up until that point was £1.6 billion. However, the problem is that the current borrowing rate exceeded forecasts of £1.3 billion. The double-digit growth rate of consumer credit is alarming. 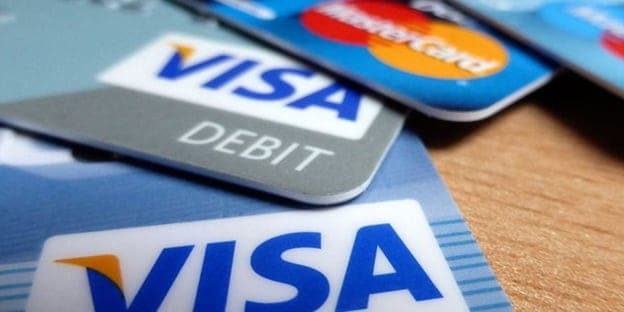 The credit card component of consumer debt increased to £67.3 billion in February, for an annual growth rate of 9.3%. This means that the current trajectory of credit card debt places it at an 11-year high. While interest repayments on unsecured loans is at its lowest point since 1995, the levels of debt that are being racked up are rising. Even the BOE governor, Mark Carney cautioned against the risks of unsecured lending increases. While personal loans and credit card debt numbers have increased, there has been a softening in housing market activity over time.